Wasting Medicines: Help Wipe Out Waste! by reviewing Multiple Prescription Usage and you could help Fund other Necessary NHS Treatments. Paracetamol and Ibuprofen - Do you really need a prescription for over-the-counter medicines? In Northern Ireland we spend more than £8 million annually on medicines which can easily be bought in local pharmacies and other retail outlets. This could pay for: Hip replacement operations, more treatments for breast cancer and more community nurses. Click for further information and statistics. PRESCRIPTION ORDERING NOTICE Telephone prescription ordering ceased at the end of January 2018. Patient On-Line Services -24/7 access. Register at reception with photographic ID & an email address. Via post, fax (02893 372625) or through the reception order box (use the order slip on last script for convenience). Local chemists will also take written requests from Mon -Sat and have order boxes available in shops (no tel orders). Repeat Medications - Repeat medications are set up for a set number of issues and then have to be re-authorised by the Doctor in order to ensure medication review and good clinical management is adhered to. This process will take place for all patients including those on long term repeat medications. Patient Facing Service Registration To register and activate your prescription ordering account, please bring photographic ID (no exceptions) to reception for verification. Prescription can then be orders 24 hours a day/7 days a week through out website at meadowbridgesurgery.co.uk. Nurse appointments can also be booked on-line through this system. Please click this link VOS Patient Registering Guide for on-line prescription ordering to view the user guide to process on-line prescription orders. Repeat Prescriptions Please remember to allow 2 working days for prescriptions to be ready for collection at the practice, 3 days if collecting from your local Pharmacy. If ordered after 16:30, allow 48 hours (two working days) from the following working day for collection. Most repeat prescriptions can be ordered 1 week in advance. Re-authorisation of Repeat Medications Repeat medications are set up for a set number of issues and then have to be re-authorised by the Doctor in order to ensure medication review and good clinical management is adhered to. This process will take place for all patients including those on long term repeat medications. Bank Holidays Please remember to order prescriptions in good time to ensure we are able to supply your prescription before any scheduled bank holiday closures. Out of Hours will not issue repeat medications during Bank Holiday closures unless it is a genuine emergency and where a delay in provision would be potentially harmful. Please indicate the date of your holiday and expected duration when additional medication is required and needs to be requested early. 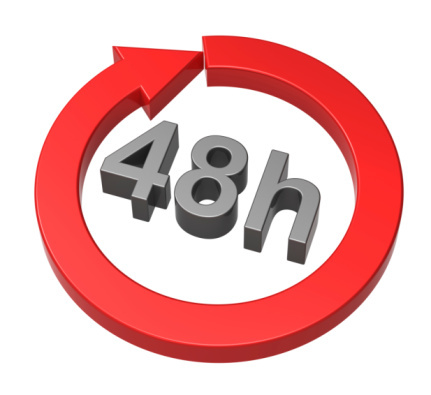 Please allow 48 hours notice for medication orders if collecting at reception. Please allow 72 hours notice for medication orders if collecting at chemist. GP practices in line with HSCB recommendations on good practice have been asked to encourage patients to take responsibility for ordering their own prescriptions unless there are exceptional circumstances. Direct contact between the patient and surgery reduces the potential for misunderstanding and the risk of error. If support is required the patient should nominate a representative such as a family member; however, there may be exceptional circumstances where the community pharmacist is the most suitable person. Repeat medications and appliances can not be supplied by a pharmacy in the absence of a prescription (with the exception of an emergency supply). From 1 April 2019 GABAPENTIN AND PREGABALIN will become controlled drugs. Changes from 1st April 2019. Repeat medications are set up for a set number of issues and then have to be re-authorised by the Doctor in order to ensure medication review and good clinical management. This process will take place for all patients including those on long term repeat medications. If you have already registered with the new email address then that is a new registration and you will need to input the prescription information again. If not then you just need to log on as normal (using the old email address) and click on the blue Patient Home button. You can change your email address in there. You will then be sent an activation link to the new email address, click the link to activate the new email address. Once this has been done you will need to log in using the new address. Log on as normal and click on the blue Patient Home button. You can change relevant details in there. AUDIT is part of Trust procedure, and an audit was carried out on practice Repeat Prescribing Systems by the Medicines management Adviser from the Trust between 2013-14. The audit covered sixteen different areas within the Repeat Prescribing system, from the initiation of repeat prescriptions until their collection. The audit involved questioning members of staff, checking documentation and also sampling prescriptions that were ready for collection. Results were reported as being one of the highest achieved amongst Northern Board practices visited. Chemist Preference - Inital Registration for Chemist Collections must be completed at Reception in person as a Consent Form has to be signed. Following this, you may select a chemist option when ordering prescriptions on line if you would like to pick up your prescriptions from the local chemist. Please allow 2 full working days for prescriptions to be ready for collection at the Practice and 3 full working days at the Chemist. This excludes weekends and bank holidays. : Prescription Name & Quantity of each item required (not number of boxes). Patients can obtain their stoma appliances in one of two ways: either from a dispensing appliance contractor (DAC) or their local community pharmacy. • It is the patient’s choice as to where they get their supplies from. Patients will not be advised to use one supplier over another. Only order products which they actually need. It is often useful to provide staff with the order print out using the right hand side of the prescription form to help with ordering correct supplies.  If requests for stoma appliances are being received more frequently than appears necessary this will be brought to the GPs attention and the GP swill discuss this with the patient and if required further advice sought from the stoma care nurse.  Confirm if collecting prescription or require the prescription to be collected/posted to the nominated pharmacy or DAC. If posting is required and it involves the use of standard post a practice letter will be issues to obtain the patient's consent for the practice to post the prescription and for the patient to accept the inherent risks of using standard post i.e. potential loss of personal data. Prescriptions requiring posting will be posted promptly to avoid delay in receipt of the prescription and supply to the patient. 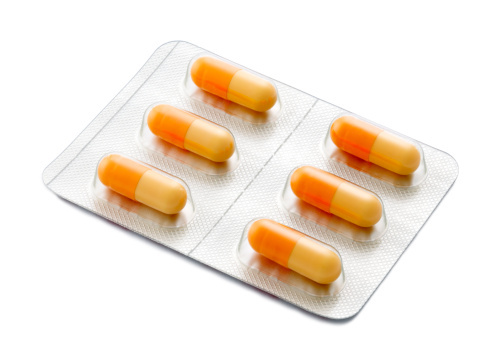 If the patient is using a different supplier for the stoma products than other medicines then the stoma products will be printed on a separate prescription from other medicines. • GPs will consider any requests for additional or new products, in particular accessories, only following discussion with the patient and, if deemed appropriate, specialist clinical assessment by a stoma care nurse. • If following review a GP deems a referral to a specialist service necessary, the GP will discuss with the patient the reason and importance of the referral before making the referral. omperidone is available to buy in a pharmacy without prescription as tablets for use in adults and adolescents of 16 years and above. It is now restricted to use in nausea and vomiting and should be used at a dose of up to 10mg, three times daily for a maximum period of 48 hours. Hay Fever Medications - Items recommended for Patient Self Care. Then STOP taking the medicines listed below. Restart when you are well (after 24-48 hours of eating & drinking normally). If you become acutely ill – please be advised to increase fluid intake and avoid these medications as outlined. If in any doubt, contact Meadowbridge Surgery on 028 93353454 or speak to your pharmacist.